Since the war in Syria started in 2011, many children left their war-torn country, alone or together with their families, and fled to neighboring countries in the Middle East, to Turkey or to Europe. This article will compare how Syrian refugee children are included – or not - in school systems both in Europe (Sweden, Germany and Greece) and outside Europe (Turkey and Lebanon). These five countries represent very different ways of receiving children in their educational system. We will compare national institutional arrangements like access to compulsory school, access after compulsory school age, welcome or immersion classes, second language education and tracking mechanisms. Including children as soon as possible in regular classes seems to provide the best chances for school success, whereas educating refugee children in a segregated parallel school system for extended periods often results in early school leaving or not attending school at all. The research debate covering the political crises around refugees has largely been addressing issues like border control, EU policies – or the lack thereof – and the political backlash in the form of anti-immigrant sentiments. Follow-up questions about the integration of refugees and their children into society, education and work are now appearing on the agenda too. Although the current attention to the issue of the integration of the children of refugees into education is recent, several researchers in Europe have addressed the question for previous waves of refugee children. The largest comparative European study on the topic is Integrace,1 but the majority of studies are national and local studies that are often largely descriptive or evaluate examples of good or promising practice in cities and schools. For this article we have worked together as scholars from five countries affected by a large inflow of Syrian refugees to gather literature (mostly in the national language) about the situation of refugee children in these countries. 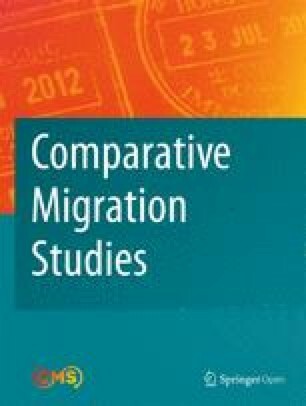 The literature gathered for this article suggests that, even when the field is rapidly expanding, compared to the huge number of studies on the education of the children of immigrants, attention to refugee children in education is still limited and often refugee children are not distinguished separately (Bloch et al., 2015). The available data show that refugee children usually face more barriers than the children of immigrants (Bloch et al., 2015; Mc Brien, 2009; Suárez-Orozco, Bang, & Kim, 2011). Furthermore, there seems to be a lack of attention to the development of school careers over time. Often researchers take a snapshot of the treatment of refugee children in so-called welcome, introduction or submersion classes. Of course, a good start in education is a crucial element for these children, but it only tells part of the story. What happens after these classes is equally fundamental: Into what sort of educational track are they admitted? Do they still get second language support or other additional support? Are they in a track that allows them to continue their studies beyond compulsory education? In this article we aim to draw away from ‘singular factors’ (Nilsson & Bunar, 2016, p. 401), such as trauma or individual background factors, and instead comparatively focus on institutional factors that influence the educational opportunities of refugee children at the macro, meso and micro levels. This approach works within a research tradition that looks at the effects of differences in school systems on the educational and labour market careers of the children of immigrants (Crul, 2012, 2013; Crul 2016; Crul, et al., 2012; Crul & Mollenkopf, 2012; Crul & Schneider, 2010; Crul, Schneider, & Lelie (2012); Keskiner, 2013; Schnell, 2012). We will make a cross-country comparison of the five most important institutional arrangements we identified through our literature review as having a major influence on the school careers of refugee children: (1) entrance into compulsory education; (2) so-called welcome, submersion or introduction classes; (3) second language instruction; (4) tracking; (5) education after compulsory schooling. For our analysis of the impact of the institutional arrangements, authors for their own country have performed an extensive literature review. We have chosen this strategy because much of the literature (academic and policy oriented) is only available in the national language. To make a comparison which shows the effect of different educational arrangements and different policies of including refugee children in education we chose two Northern European countries that strongly differ from each other (Sweden and Germany), one South European country (Greece) and two neighbouring countries of Syria (Turkey and Lebanon) that also differ a lot in their approach to including Syrian refugee children in education. This five-country comparison makes it possible to look at a contrasting range of societal and institutional contexts, in which educational policies are developed for refugee children, ranging from a completely parallel school system in the refugee camps in Turkey, parallel afternoon classes in Lebanon and Greece and parallel classes in Germany to full inclusion in regular school classes in Sweden as soon as possible. Since for the moment we cannot rely on a cross country data set, which will be available in the future,2 there are some limitations to the comparison in this article. For instance, because we rely on secondary data sources we cannot control for the variety in background characteristics of the Syrian refugee populations. The Syrian populations in the five countries are different due to various causes. Traveling to Europe required substantial financial resources, and people from less educated and poorer families more often were unable to leave Syria or got stuck in neighbouring countries. They are more often still living in camps or in all kinds of informal settings. Also, people who left the country relatively early more often made it to Northern Europe through the so-called Balkan route. In March 2016, Europe closed the main refugee route to northern Europe, resulting in tens of thousands of refugees being trapped in Greece. As a result of all these reasons the Syrian refugee populations have different characteristics in the five countries, creating different challenges for the education of the children. A rigid comparison would require a comparison of similar groups that arrived in the same period with similar educational histories in Syria or in the countries where they temporarily lived. Such detailed data are not yet available for the countries studied in this article. Another methodological consideration is that the challenges faced by the five countries are very different because the numbers of refugees in Turkey and Lebanon are much higher than those in Sweden or Greece. Turkey is the country hosting the largest number of refugees with 3.2 million registered Syrian refugees. More than 90% of them reside outside refugee camps (UNHCR, 2017). Children in the school going age (between the ages of five and seventeen) make up around 870,000 of this population (UNICEF, 2017). In Lebanon about 40% of the school aged children are Syrian refugee children. The huge influx in Lebanon and Turkey has resulted in a very different pressure on existing school facilities than in Sweden or Germany. We are aware of all these important limitations, but, at the same time, we think it is nonetheless possible to identify important national policies and institutional arrangements that influence the inclusion of Syrian refugee children in education. The acknowledged limitations should not prevent us from learning from differences across countries in terms of both the opportunities and the barriers that school systems and legal regulations present. The period covered by compulsory school in the five countries is different and has important consequences for the inclusion of refugee children in education. In Germany and Sweden compulsory education covers the age range between six3 and sixteen, while in Greece compulsory education starts at five and ends at fifteen. Even this one-year difference at the end of compulsory school has already important consequences for pursuing further education as we will see further on. European regulations stipulate that school aged children should be included in compulsory education within three months (article 14 paragraph 1 European Regulations 2003/9/EG). Sweden has, as the only country, put a further time limit of one month after arrival for entrance into school (Rydin, Eklund, Högdin, & Sjöberg, 2012, p. 193). In practice however, the actual time lapse between entering the country and entering school ranges from three months to half a year in all three European countries (for Sweden, see Rydin et al., 2012, p. 199). Especially in the period between 2015 and 2017 many refugee families have been housed in temporary shelters and camps and people have had to move several times before being housed in more permanent asylum seeker centres. Therefore, education for children of school age was often arranged in improvised ways. Especially in Greece, people have been or still are housed in temporary refugee camps for extended periods. In both Sweden and Germany there is no obligation to attend school for those still in the process of status definition, who therefore do not yet have a residence permit (Bourgonje, 2010, p. 47; Rydin et al., 2012, p. 191), although in theory, German language courses are obligatory in Germany in the reception centres. In some cases, children received language education for a few hours a day in the asylum seeker centres, rather than going to a regular school and have regular school hours. In Sweden too, small groups of children have not been attending school at all (see Rydin et al., 2012, p. 193). Nilsson and Bunar also reported that children who are still in the asylum procedure are offered 10 to 50% less schooling, and often even study less subjects than regular school children (Nilsson & Bunar, 2016, p. 403). In Greece, education is compulsory for all children irrespective of their legal status; the non-enrolment of minors is penalised, and sanctions can be imposed on parents and guardians who do not register their children or neglect school attendance. However, this is rarely applied to vulnerable groups such as refugee parents. Similar to Germany, in Greece, children may receive language courses in the asylum seeker centres, yet not in the framework of formal compulsory education, but as non-formal education activities which fall within the responsibility of NGOs and International Organisations. Pupils placed in regular schools have not always received quality education either, because many school authorities struggled to improvise on a short notice. In Germany the number of refugees were the highest for Europe. In Hamburg, one of the places were many refugees arrived, each month about 400 additional young children had to be placed in education in 2015 and 2016. Also at the level of secondary vocational education, every month four to five new classes had to be added in Hamburg alone. Over a period of a year, 143 new teachers were hired to teach the children in these new, mostly vocational classes ("9.588 Schutz suchende Menschen aufgenommen," 2015). In Greece as well, the turnaround of students in the classrooms and the schools is high because of the more instable legal situation of refugee families and the fact that families often do not want to stay in Greece, because of the bleak economic situation. Turkey and Lebanon have also legally bound themselves to provide schooling to refugee children, irrespective of their status.4 In both relative and absolute terms the numbers of school age children were even greater than in Germany, which meant that the school system in these two countries became even more overburdened. Where in the European countries almost all refugee children in the compulsory school age were included in education after a period of maximum three months, this was not the case in Turkey and Lebanon. In Turkey the government in 2014 first issued the Temporary Protection Regulation (TPR) that gave temporary protection to Syrian refugees in the areas of education and health. While this gave Syrian children the right to enrol in public schools or in the temporary education centres, the registration procedure did not always run smoothly due to a lack of infrastructure. Many refugees were not able to register (ÇOÇA, 2015).5 Research shows that most of the Syrians were not aware of their children’s right to education (idem). Researchers and NGO’s at a certain point made an urgent call that education should be perceived as a ‘right’ for Syrian children rather than a ‘favour’ (Mutlu, Kirimsoy, & Antakyalioglu, 2016). Furthermore, there was serious lack in school staff whom also needed to be trained in dealing with socio-emotional and second language issues of pupils. In Lebanon, schooling is compulsory until the age of fifteen, which corresponds to the level of the “Brevet” certification.6 However, in practice the law concerning compulsory education was neither policed, nor enforced. Though Lebanon is not a signatory to the Geneva Convention of 1951 relating to the Status of Refugees and the 1967 protocol, it is required, particularly because of the Convention on the Rights of Children of 1989, to take appropriate measures to guarantee the right of children to education (within the limits of available resources). The Lebanese Ministry of Education and Higher Education (MEHE) has maintained this commitment through the development of a three-year strategy entitled ‘Reaching All Children with Education in Lebanon’ (RACE I [Refugee Accommodation Center]) and more recently a five-year plan RACE II (2017–2021). The two strategies prioritise the integration of refugee children into formal and non-formal education. RACE I committed the government and its partners to provide access to education for around 200,000 Syrian children by 2016. Since the introduction, the number of Syrian refugees has increased steadily. In 2012, enrolment rates were as low as 12% in primary school and 3% in secondary school (UNITED NATIONS, 2012). Four years later the MEHE report (2016) showed that 42% of compulsory school aged children were enrolled in education (Lebanon Crisis Response Plan [LCRP], 2018). Further, highest out-of-school rates can be attributed to 15 to 18-year-old Syrian refugees, with as low as 3% of them enrolled in public secondary schools and another 3% enrolled in Technical and Vocational Education (TVET) public schools (LCRP, 2018). Syrian refugee children made up approximately 40% of all school age children in Lebanon in 2015–2016.7 The majority attend ‘second-shift schools’ exclusively for Syrian refugees with instruction between 2 and 6.30 pm. Next to the specific measures mentioned for Turkey and Lebanon, the lack of financial support, proper housing, clean water and electricity, and the inadequate conditions of the camps in which the majority of Syrian refugee families live is very important to understand the problems with children entering education. Despite the huge efforts of UN agencies currently covering the cost of school registration, books and stationary, public education is not necessarily cost free in Turkey and Lebanon. Many families struggle with the cost of transportation, school supplies and other school-related expenses. In Turkey, Syrian refugees were not allowed to work legally until 2016. This created a huge black labour market with underpaid jobs. The resulting poverty of the families has forced families into prioritising work over education (Mutlu et al., 2016; Shuayb, Al Maghlouth, Ahmad, & Held, 2016). It is still very difficult to acquire a work permit to work legally. In Lebanon people were from the beginning allowed to work, but the jobs they could enter were often very poorly paid which also resulted in poverty for the families and the necessity for children to work. UNICEF released a press statement in January 2017 stating that more than 380,000 Syrian children in Turkey were not attending school (UNICEF, 2017). The comparison between the five countries shows that the right to education is still another thing than the actual possibility to attend education in compulsory school age. In Turkey still about a third of the children is not attending compulsory education, however, this is an improvement considering that it was about 50% five years ago. In Lebanon too, there has been a steep increase in children going to school, but also in Lebanon more than half of the school aged children are not attending school. The most important difference between the European countries and Syria’s neighbouring countries is the huge number of children that were or still are outside the formal school system receiving no or only limited education. The major differences within Europe are related to difference in the starting age and ending age of compulsory school. These differences are also consequential, as we will see further on, because they can block the entrance for refugee children into post compulsory education (Greece), or into the apprenticeship system (Germany). As the title of this section reflects, the names used for the classes in which refugee children are placed before going to regular classes differ between countries and, over time, also within countries. The actual pedagogical practices also differ greatly. When the children enter education they usually do not yet have any command of the national language (with the exception of Lebanon). In the three European countries special provisions have been put in place to teach the new language, either in regular classes, special classes or in special schools. In Germany, children attend preparation or introduction classes for one or two years before being transferred to regular classes. Depending on the regulations in the specific Bundesland, city, or even the school, this can be followed by more assistance with German as a second language if their German proficiency still lags behind. There are some preparation classes attached to Gymnasiums, but much more frequently students in secondary education attend preparation classes in Hauptschule or Realschule, i.e. lower- and middle-level vocational education. Only students with previous high school experience and/or proven corresponding academic levels are admitted into upper secondary general education at a Gymnasium or a comprehensive school. The situation in Sweden varies between schools. However, the general policy in Sweden is to keep children in international or immersion classes for only a very short period. Prior to 2016 there was no national policy regulating local organizational models. Thus, in some municipalities newly arrived children were placed in separate classes for a rather extended period of time, sometimes up to three years (Skolinspektionen, 2009). In most cases however, the students were either quickly transferred or directly integrated in regular classes. (Rydin et al., 2012). Since January 2016, a new set of legislative changes was adopted regulating that a student is regarded as newly arrived up to four years after arrival. A new organizational form has been set up for these students, called preparatory classes (in Swedish förberedelseklasser). Importantly, students can no longer be placed full-time in preparatory classes and no longer than two years. This means that they are granted some teaching hours in regular classes. How many and in which subjects is not regulated, but left to teachers to decide based on their assessment of students’ individual needs and circumstances. Students can be transferred to regular classes at any time during the academic year, based on their development and needs. (Bunar, 2015). The students’ placement in preparatory classes is not mandatory, the decision is made by the head teacher on the bases of initial mapping and other social circumstances, which means that students also could be directly sent to regular classes. The transition to regular classes is no longer only conditioned by the students’ progress in Swedish as a second language, but also to a large extent by demands that all teachers in regular classes have to work with language developing pedagogy (Skolverket, 2017). This new legislation is obviously guided by a desire to avoid social segregation between newly arrived students and the rest of schools, which was one of the most posed critical points in the previous system (Svensson, 2017). In Greece, instruments previously used to integrate migrant students into the public schools proved to be inappropriate for the high numbers of refugee children arriving post-2015. In particular, there were no instruments to address the conditions under which these children arrive to Greece, coming from war-torn regions and having been rescued during an often very traumatic journey on the Aegean Sea. During the school year 2016–2017 refugees and migrants8 have mainly been accommodated in Refugee Accommodation Centers (RACs) all over the country. This has put considerable pressure on the schools neighboring these RACs, in particular very big RACs of 1000–3000 people, such as Ellinikon and Skaramangas. To respond to this challenge, the Greek Ministry of Education established the Reception Facilities for Refugee Education (RFRE), meant to function as preparation classes during a transitional period. The RFRE operate within the schools neighboring refugee accommodation centers. They teach in an extra afternoon shift, and they teach a specialized curriculum which aims at the (re-) integration of refugee children into school, either in Greece or - in the event of relocation – in other European countries. More generally, the RFREs aim to offer the refugee and migrant children a sense of normality that corresponds to their age, ensuring, among other things, their psychosocial support. In the school year 2016–17, in total 112 RFREs were catering to the needs of 3240 students of 6 to 15 years old residing in 33 refugee accommodation centers. During the same period, another 1500 refugee students living outside the RACs attended the morning shift, either in mainstream schools or in the Reception Classes of Educational Priority Zones (ZEPs), or in one of the 26 Intercultural Schools operating in Greece. The Intercultural Schools and the ZEPs were established in the 1990s to integrate migrant children into the Greek educational system. The Reception Classes operate in mainstream schools. Language minority students receive intensive language courses in Greek, separately from the native-speaker students, but for the rest of the curriculum, they attend the regular classes. In 2016–17, Greece tried to put refugee and migrant children in classes according to their age and, if possible, according to their mother tongue as well. However, limited resources of the schools and the inability to provide assessment tests before the school year started resulted in putting all children in the same RFREs, irrespective of their level of schooling or any other special needs of these children, in particular the fact that many of them have received little or interrupted schooling due to the war. Considering that many refugees, including children, suffer serious traumas (Anagnostopoulos, Triantafyllou, Xylouris, Bakatsellos, & Giannakopoulos, 2016; Bronstein & Montgomery, 2011; Burnett & Peel, 2001; Christodoulou & Abou-Saleh, 2016; Porter & Haslam, 2005; Sirin & Rogers-Sirin, 2015), ideally these children should have received extra support in the schools, which was unfortunately not always the case due to the general lack of resources in the Greek school system.9 The Refugee Education Coordinator (REC) is a key figure in the RFRE. These RECs belong to the permanently appointed educational staff of the Ministry of Education,10 and are generally experienced teachers. They have been selected following a call for applications, meaning that they have not been appointed in the refugee sites involuntarily. Their main duty is to locally coordinate the Ministry’s programme on refugee education. RECs organize all the details and tackle the problems related to the enrollment of the children in the selected schools. The RECs coordinate and monitor education by NGOs and other bodies operating within the refugee sites. The establishment of the figure of the REC aimed at creating bridges between the school and the society. In this sense, their responsibility is major, as they are the persons to whom the refugee parents entrust their children to go to school; and, in most cases, they are the only persons representing the school with whom these parents have some relationship. However, the RECs have to fund their own transportation to and from the accommodation sites (RACs), which in most cases is quite costly. The combination of the high responsibility with low remuneration has discouraged many teachers and after the first year, in 2017–18 only one third has applied again for this position. In Turkey, Temporary Education Centres (TEC) were established to provide education to Syrian children both inside and outside the refugee camps (Human Rights Watch [HRW], 2017). Although these centres began as private initiatives, some have signed a protocol with the Turkish government and receive financial support and they are free of charge, while others remain private with low fees, which are nevertheless unaffordable for many Syrians struggling with economic hardship. Furthermore, the TECs were insufficient in number and capacity. Of the 81 municipalities where refugees were registered, the centres only existed in 19 cities. According to the HRW report (2017), in the academic year 2014–2015 there were 34 centres inside and 232 centres outside the refugee camps, operating at the primary and secondary school levels. More than 170,000 students were enrolled in TECs, as opposed to only around 36,000 in Turkish public schools. However, many TECs are closed, since the Syrian refugee population is unable to pay for the courses. For example, 19 TECs opened in Reyhanli in 2014 but only three were left by August 2015 due to lack of funding (Amos, 2015). The centres follow an almost identical curriculum to that of Syrian schools – and the pupils receive classes in Arabic – which is prepared in cooperation between the Syrian Interim Government’s Ministry of Education and the Turkish Ministry of National Education (HRW, 2017). In the summer of 2016, the Turkish Ministry of Education announced a new road map for the integration of Syrian children into the mainstream education system, claiming to achieve full integration in a period of 4 years. To achieve this, Syrian children enrolling in first, fifth and ninth grade (the transition points in the education system) are directly being directed to regular schools instead of the TECs (Tekin & Yukseker, 2017). In Turkey, counselling facilities are available in public schools, but these facilities do not seem to be equipped to support Syrian children who have suffered serious traumas. The study by the Children Studies Department at Istanbul Bilgi University shows that the language barrier and a lack of motivation or qualifications of the already overloaded student counsellors are the major reasons for lack of support (ÇOÇA, 2015). In Lebanon the integration into the Lebanese school system was made possible when in 2012–2013, UN agencies agreed to cover the registration and parents’ tuition fees. This opened the doors to the registration of Syrian children in regular public schools. However, the ministry applied restrictions the following year as the number of Syrian refugees rose. In 2013–2014, policy shifted to opening the second shift and a preference to segregate Lebanese from Syrian students for fear that the latter would affect the learning of the former. Yet, many Syrian families question the quality of education provided in afternoon shifts (Shuayb et al., 2016), and see the afternoon shifts as non-formal education, assuming the afternoon shift coursework does not offer a formal certification, and thus is of marginal value. Research reveals that many Syrian parents that were unable to enrol their children in morning shifts chose not to enrol them in the afternoon shifts due to this view (Idem.). To challenge these problems, the Centre for Educational Research and Development developed the Accelerated Learning Programme (ALP) to meet the refugee students’ needs through a condensed basic education programme for grades 1–9 drawn from existing curricula with a specific learning methodology. Other than ALP, non-formal education (NFE) offers Syrian refugees a substitute to public education, yet it is neither accredited nor regulated by Lebanese authorities. Non-formal education remains a popular choice for many parents, as it provides a more flexible and supportive learning environment (Shuayb, Makkouk, & Tuttunji, 2014). It is estimated that in December 2014, there were 109,503 Syrian and other vulnerable children enrolled in NFE programmes in Lebanon. NFE programmes included ALP, Basic Literacy and Numeracy, Psycho-social activities, recreational programmes, Community-Based Education, Early Childhood Education, and Remedial Classes. In 2016, the MEHE collaborated with UN agencies to develop a framework for NFE with the aim of controlling the quality and regulating the field. In Lebanon, many schools placed students in grades that did not necessarily correspond with their academic abilities. Many Syrian students arriving in Lebanon have at least missed one or two years of schooling, while some were never enrolled due to the war. As a result, most Syrian students face both academic and social challenges at school. For example, several 14-year-old Syrian refugee children stated they were placed in grade 5, even though the last grade they attended was grade 3. They continued to struggle to keep up with the rest of their class and were not provided any preparatory courses or supplemental training. Not surprisingly, most teachers in Lebanon reported difficulties when it came to class management, discipline, and punctuality when dealing with Syrian refugee students. All five countries have installed some type of welcome classes, but how these are functioning in practice is very different. Segregation is one of main problems with severe consequences for the children. In Turkey, the separation of refugee children in temporary centers with a curriculum taught in Arabic resulted in the children not learning Turkish, which then made it almost impossible for them to transfer to regular classes. In Greece and Lebanon most of the children were attending separate afternoon classes which caused segregation effects and often a lower quality of education. The most contrasting case compared to these three cases is Sweden, where children are placed in temporary classes for the shortest period of time with the aim to prevent segregation. The provision of second language instruction is both on paper and in practice very different across countries. In Germany, there is second language support in elementary school (up to age ten or twelve, depending on the Land). Niemeyer (2014, p. 57), however, emphasizes that “it is nowhere stated that German as a second language has to be taught in school.” Second language instruction is seen as additional to regular language instruction. As a result, the extent to which extra materials are used and the quality and number of hours of second language instruction differ from school to school and from teacher to teacher. Because regular second language instruction is absent in secondary education in Germany, pupils with language problems are placed in special submersion or introduction classes, which sets them back with their academic options. The Mercator Foundation released a report saying that teacher training in second language education is still insufficient in Germany (also see Niemeyer, 2014, p. 47). Study methods and techniques for second language education were often lacking (Niemeyer, 2014, p. 48). In some schools there is a separate German as a Second Language (GSL)-teacher available; in others, school teachers are given additional training, but this training usually consists of one day only (idem). In daily practice, it is these regular teachers with little training that provide additional second language instruction in the classroom (Niemeyer, 2014, p. 57). In Hamburg, the school ministry recruited GSL-teachers from adult education centres, offering these predominantly independent free-lancers permanent contracts. New programmes of second language education are quickly expanding. Where in 2014, second language teacher training was only compulsory for school teachers in one Land, two years later, this was true for six Länder (Mercator Institut & SVR, 2016, p. 4). In Sweden, Swedish as a second language (SSL) is a regular subject with separate teaching materials (syllabus) and instruction, in status equal to teaching Swedish (a core subject), and SSL is taught by specially trained teachers (Nilsson & Bunar, 2016, p. 409). Some reports, however, stipulate that the status of these teachers is considered lower than that of regular teachers of Swedish (Bourgonje, 2010, p. 50; Nilsson & Bunar, 2016, p. 409). However, Swedish as a second language is offered as an exam subject in Gymnasium and the mark for the subject is counted as a normal entrance mark for university (Rydin et al., 2012, p. 196). The head teacher decides which students need to study SSL (Rydin et al., 2012, p. 196). SSL is offered in both elementary and upper-secondary school (Vetenskapsrådet, 2012, p. 76). Newly arrived students, irrespective of their migration status, are entitled to all forms of additional support on the same terms as other students in school. It is the responsibility of the head teacher to identify needs, allocate resources and provide support to all newly arrived students. However, there is also a set of additional support tools particularly designed to cater for this group. Multilingual classroom assistance (Studiehandledning) is one of the most important pedagogical interventions (Avery, 2017). Multilingual staff is employed in order to bridge the language gap between the students and the core content of academic subjects. This staff’s additional role is to help students also develop their mother tongue as they acquire more advanced academic concepts in Swedish, and to help with initial mapping of the students’ previous knowledge (Davila & Bunar, 2017). Another form of additional support for newly arrived students consists of reallocation of teaching hours from other academic subjects to Swedish as a second language (SLL) during their first year of schooling in Sweden and also a provision of more teaching hours in SSL (Bunar, 2017a). Appointing mentors, offering holiday schools and help with homework are some other measures undertaken (Bunar, 2017b). In Greece, like in Germany, second language instruction in school is not common. Yet, the curriculum implemented in the Reception Facilities for Refugee Education (RFRE) for the school year 2016–17 does include Greek language courses. These courses are, however, provided by teachers of Greek as a mother tongue, not as a second language. Study methods and techniques for second language education are mostly lacking. Teacher guides and textbooks that were mainly used in the Intercultural Schools to teach Greek to Roma children have been amended by the Institute of Educational Policy (IEP), the Ministry’s academic institution consulting for primary and secondary education, to support the language courses in the RFREs. Given the entirely different alphabet and structure of Greek, one can imagine that the Syrian students would benefit from a tailor-made pedagogy for learning Greek as a second language. For Turkey, too, the lack of Turkish language proficiency is the main obstacle Syrian children face in accessing public education. While the Turkmen ethnic minority speak Turkish, Syrian refugee children do not; the most common languages among them are Arabic and Kurdish. In theory, Syrian children have the right to enrol in public schools, but the infrastructure for them to learn Turkish or attend any form of transition classes is still pretty much absent. Starting from October 2016, the Turkish Ministry of National Education initiated a project to improve the schooling of Syrian children by nationwide improvement of the infrastructure for Turkish language acquisition. This is to go hand in hand in with the integration of Temporary Education Centres into the public education system. The HRW 2017 report called for more flexible administration procedures to cater to the needs of older refugee students (e.g. allowing to enrol a 10th grader in 9th grade) and emphasized the urgency of launching Turkish language courses on a national scale. In Lebanon, unlike many would expect, a language barrier continues to be the primary challenge for Syrian refugees, even among high achievers. Lebanese regulations stipulate that the Syrian students follow the same programme as the Lebanese, which means that, unlike in Syria, mathematics and science are taught in English or French. This presents significant learning obstacles for Syrian children who are only well versed in Arabic. The refugee children learn all subjects taught in the morning shift, with the exception of arts, sports, and music - which seems a great loss for these children who would likely benefit from especially these activities. They are taught by either tenured Lebanese public school teachers or Lebanese contracted teachers, whose only qualification to be hired is a university degree. Syrian teachers are not permitted to teach in public schools or any programmes run by MEHE. As previously mentioned, Lebanese regulations stipulate that the official curriculum is taught to the Syrians exactly as it is to the Lebanese, including the teaching of mathematics and science in English or French, which is not the case in Syria. This foreign language education poses great learning difficulties for refugee children who only know Arabic, and have not had previous instruction in English or French. Syrian refugee students in Lebanon are integrated into schools, regardless of their language skills and without any preparatory language support. Moreover, due to the war many Syrian refugee children have lost several years of schooling and/or have not attended formal schooling prior to their enrolment in Lebanon. As a result, many Syrian students struggle with basic literacy in both Arabic and foreign language. Herzog-Punzenberger, Le Pichon-Vorstman, and Siarova (2017) in their recent analytical report stress the importance of integrated multilingual education and give a comprehensive overview to systematically judge the type of language pedagogy implemented in schools to promote multilingualism. This includes not only second language instruction methods and the certification of second language teachers, but also, for example, if and how the first language is validated in school by regular teachers. To compare the five countries according to these criteria would need a separate study, but we can say that of these five countries only Sweden comes close to actualizing a serious language pedagogy in validating the first language and providing skilled second language teachers. Turkey is on the other extreme of the scale, where only recently teachers are being trained to teach Turkish as a second language and there is no pedagogy in place to value the first language at all. The German case is somewhere in between, with a lot of variation between Bundesländer. Welcome classes and second language teaching in secondary school often interact with the tracking and selection procedures in secondary school. The effects of tracking to different educational tracks have been extensively documented for children of immigrants (see Crul et al., 2012; Crul, 2013). The strongly stratified German school system with its early selection makes it very difficult for refugee children arriving around the start of secondary school (between age ten and fourteen) to pursue an academic track which prepares for higher education. Most of the refugee children arriving at the end of elementary school age are placed in Hauptschule or Realschule, the two vocational tracks. Only a small proportion of pupils of German descent go to Hauptschule. In the case of refugee children, however, for many teachers and policymakers this seems to be the highest aim (see also Niemeyer, 2014, p. 46). At age sixteen, and in some cases even a year earlier, Hauptschule and Realschule pupils should enter an apprenticeship track. However, second language difficulties often impede refugee children from finding an apprenticeship. Also, families often have difficulty to familiarize with the complexities of the vocational sector in Germany (Niemeyer, 2014, p. 16). An obvious problem is the potential competition of refugee students with native-born students for apprenticeship places. It comes as no surprise that those with a Gymnasium diploma are more favoured by employers, followed by those who have a Realschule diploma. Children with a Hauptschule diploma, in general, have least chances of getting an apprenticeship position (Crul et al., 2012).11 The thriving German economy in need of labour has brought more openness in considering also young people with still language difficulties and lower formal qualifications. Of course, these are mostly professions requiring hard work and working conditions combined with comparatively low wages, like construction work, bakers and hairdressers. The more open meritocratic school system in Sweden with its late selection (at age fifteen) and less selective tracking system offers many more possibilities of continuing into post-secondary or higher education. In Sweden, the first selection point is at age fifteen, when students choose, or are recommended to take, different programmes within Gymnasium. Since the latest reform in 2011, the Gymnasium is comprised of three major tracks. Two of them are national programmes, one is pre-academic and one is vocational. Eligibility to the pre-academic program is granted if a student has final grades in the core subjects (Swedish/SSL, Mathematics and English) and nine additional subjects. In order to get access to a vocational program, students need to have final grades from the core subjects and five additional subjects. All other students are stirred towards the third track, called Individual Program, consisting of five subjects. One of these, Language Introduction (Språkintroduktion) is specifically designed for late arriving students. This program does not lead to a diploma, has no structure and defined subject goals, but is heavily oriented towards Swedish as a second language and students’ individual needs and circumstances. Troubling is the low number of students who graduate from vocational tracks or pre-academic tracks. Research shows that the language introduction program needs improvement (Bunar, 2017a, p. 12). In Greece the first selection is at age fifteen, after leaving Gymnasium (junior high school). To continue their studies beyond compulsory education, students need to obtain a high school diploma (Apolityrion Gymnasiou), equivalent of Baccalaureate, that grants access to either General or Vocational Upper Secondary School (Lyceum/ Lykion) which – in turn – will give them access to higher education (university) or to more vocationally oriented tracks. Students who fail to get a diploma may attend evening high school in order to obtain the certificate. Many adults, including many migrant adults, attend these schools. Students who choose not to continue in some type of lyceum, or fail to get a lyceum-diploma leading to higher education, can participate in different types of courses provided by public and private organisations (e.g. the Manpower Employment Organization/ OAED) to acquire skills and qualifications to enter the labour market. Turkey also has a comprehensive education system, similar to the Swedish and Greek systems, where there is no overt form of tracking in the compulsory education system. However, there are differences in prestige between selective and non-selective educational institutions, both in the public and in the private domain, which act as a covert stratification system with regard to access to higher education. The studies reviewed for this article only mention participation by Syrian children in non-selective public education and in temporary education centres (ÇOÇA, 2015; HRW, 2017; Mutlu et al., 2016). While the experience of Syrian children varies in individual cases, younger children seem to have a more positive experience as they learn Turkish faster than older children, who seem to suffer more from the lack of Turkish language courses and problems of adaptation (ÇOÇA, 2015). Given these harsh conditions, the Syrian children who manage to attend a non-selective public school might face serious difficulties in accessing higher education. Lebanon does not have a system for tracking students. However, the fact that hardly any Syrian refugee children are enrolled in post compulsory education, after age 15, shows that the combination of the parallel afternoon classes, the foreign language instruction for certain subjects and the early end of compulsory education all together dramatically restrict the number of students continuing after compulsory school. The highest out-of-school rates are indeed attributed to 15 to 18-year-old Syrian refugees, with as low as 3% of them enrolled in public secondary schools and another 3% enrolled in Technical and Vocational Education (TVET) public schools (LCRP, 2018). In relation to the tracking age we see mixed results across countries. In Germany early selection results in many students being tracked into vocational education, while in Sweden the late selection gives many more students the opportunity to continue in a form of post-secondary education and even to university. In Turkey, Lebanon and Greece, though the selection is late (at age fifteen), still most children do not continue into upper secondary or post-secondary education. The most dramatic case is Lebanon where only 6% of the refugee children are attending post compulsory education. Reasons for not continuing after compulsory education are the costs of education, the poor quality of the compulsory education received in the second shift classes, the lack of assistance with second language learning or the lack of assistance with learning an extra foreign language, which is the case in Lebanon. In Germany, compulsory schooling ends the age sixteen. Quite differently from Sweden, bringing young people into higher education is not a universal goal, also not for youth of German descent. Due to the strong industries in need of low and medium skilled labour there is a strong tradition of company-based and school-complemented vocational training, the ‘dual system’. One advantage is that the access to vocational training is possible until the age of 21, in some Länder even until 24. Another important element is that apprenticeship places are an impediment to deportation. Although there are accounts that foreigners’ offices do not respect this federal regulation,12 this offers an important mid- to long-term perspective for the refugees themselves, but also for the employers. The thriving economy seems to be a driving force in the regulations. Because many of the refugee children are older than 16, and thus do not qualify for general education, there are today many local and regional programs trying to ease the access to vocational training. In Hamburg, for example, a mix consisting of school-based vocational training, GSL (German as a Second Language) - teaching and sequenced internship periods in different companies is meant to create better opportunities for refugee youth to enter regular apprenticeship positions.13 This and the myriad of other similar programs are based on close exchange and cooperation between state actors, such as secondary and vocational school, companies and employers’ organizations, and NGOs that already with immigrant children had developed a special expertise in preparing young people for vocational training. In Germany there are many programmes for adult education. The main problems here are lack of information and the costs. In the face of the ‘refugee crisis’, many adult education institutions have started to offer free courses, at least at the basic level, and sometimes the costs are covered by the government. Especially the state-owned Volkshochschulen have played an important role in this – as they did before for previous waves of immigrants and refugees. In Sweden, compulsory education also ends at age sixteen, but pupils who are still in upper-secondary school when they turn seventeen or eighteen have the right to continue their education like regular students, even when they do not have an asylum seeker status (yet). This is important, because particularly unaccompanied minors often arrive between the ages of fifteen and seventeen (Çelikaksoy & Wadensjö, 2015, p. 14). Young adults arriving after the age of eighteen can attend Swedish for Immigrants (SFI), i.e. classes for adults to learn basic Swedish. In Sweden, adult education is a much more mainstream institution than in Germany. Awareness of this option is therefore much greater. In the past too, adult education was an important entrance route into the education system for migrants and therefore became very much attuned to the needs of new comers. An adult education diploma, which includes grades for the core subjects Swedish/SSL, Mathematics and English, can be used to enter higher education or a form of post-secondary education. An important restriction is that asylum-seeking children (not those who have a permanent status) are only eligible to enter educational programs before they turn 18 (Bunar, 2017b, p. 10). Thereafter, there are no legal educational alternatives for asylum-seekers as adult education is closed for this student category. Furthermore, they are not automatically granted the right to switch from language introduction to another national or introduction program if they have turned 18 (Skolverket, 2017). The consequence is that, once they meet the Swedish language proficiency standards, they could be forced to leave the educational system altogether. However, even if they do not have the legal right to further education in another program, there is no legislation that explicitly prevents municipalities and schools from admitting them. In Greece, one of the major problems is that the Ministry’s action plan for the school year 2016–2017 has focused exclusively on compulsory education which ends at age fifteen. In order to enroll in General or Vocational Upper Secondary School (Lyceum/ Lykion), students need a high school diploma. However, the lack of an adequate assessment system has locked most refugee youths over age fifteen outside the Greek education system. Non-formal education, in technical and vocational skills, as well as Greek language courses and soft skills are provided by several NGOs and International Organizations. The Greek educational system provides flexible second chance education services (Second Chance Schools) for adults who dropped out of school before completing compulsory education. However, at the writing of this article, there are no institutional arrangements to integrate newly arrived refugees and other displaced persons in these structures. A prerequisite for attending these schools is an adequate knowledge of Greek. The General Secretariat for Lifelong Learning and Youth of the Ministry of Education implements a number of programs of Greek language courses for immigrant adults, while also certifying their knowledge of Greek. Nonetheless, language courses are not systematically offered to the aforementioned population categories aged over fifteen years old. In Lebanon, there is little emphasis in the measures RACE I and II on post compulsory education (compulsory education also already ends at age fifteen), especially since Syrian refugees are not allowed to enroll in public vocational training centers. The high dropout rate and the extremely low enrolment (only 3% of the refugee youths continue education after age fifteen) in upper level secondary education among refugees have pushed the government to address dropout. MEHE has also sought to introduce non-formal education programs for this age group which included Basic Literacy and Numeracy (BLN) for ages 10–18, the ALP for ages 07–24, Youth BLN for ages 16–20, and Technical/Vocational Training for ages 15–24. Strict requirements hinder older refugee students from independently registering for official examinations, which is generally meant to be a viable option for those who are unable to enrol in post-secondary education. For instance, students must be at least 18 or older to sit for grade 9 examinations and at least twenty to sit for grade 12 examinations, yet all students must present a valid school certificate for grades 8 and 11, respectively. In 2016, the Lebanese Government announced that students at the public middle and high school levels (grades 9 and 12) of any nationality (including Lebanese returning from Syria, Syrians, Iraqis and others) are now allowed to sit for the official exams without presenting transcripts or documentation of earlier schooling. Those who pass these exams will receive official certificates of success from the Lebanese MEHE, and those who do not pass the exams will be allowed to sit for them again. This decree could help refugee children who have been out of school for a few years to re-enrol. The arrangements for post compulsory education turn out to result in the most extreme variation across the five countries. Financial arrangements and the official requirements to enter post compulsory education restrict access in Lebanon, Turkey and Greece. The Swedish system is most accommodating, also due to its advanced second chance system. Germany more recently has put a lot of effort in channelling youngsters into apprenticeship tracks, also motivated by the booming German economy that needs skilled workers. The discussed five key institutional arrangements and their effects on school outcomes shows a clear distinction between favourable and less favourable national practices and institutional arrangements. We saw that the right to education in compulsory school age does not always translates in the possibility to attend school. In Turkey and Lebanon many refugee children do not participate in compulsory education. Among those who do in Turkey, many attended temporary education centres where they followed a Syrian curriculum. High quality and continuing second language instruction offered at all school levels – by properly trained teachers and using specifically developed teaching materials – is lacking in most countries. Tracking especially sets Germany and Sweden apart. As we have seen, in Germany mainly vocational tracks are open to refugee children, while access to academic education is in practice very restricted – with language being the main argument. In the other three countries tracking and selection at age fifteen is an important stumbling block for students to continue in a form post-compulsory education. For refugee children arriving around the end of compulsory schooling the availability of adult education is especially important. Options for this are especially lacking in Lebanon and Turkey. To evaluate the impact of different policies and institutional arrangements it is important to see them in relation to each other, for instance: the more poorly organized second language instruction in Germany (compared to Sweden) in relation to the early selection and tracking results in an over-representation of refugee children in vocational tracks. These factors in combination create an accumulation of disadvantage. This also means that the Swedish good practice of limiting the time in immersion classes cannot be easily transplanted as such to Germany. In Sweden, the transfer to regular education is combined with continued instruction in the second language. A shorter period in immersion classes has to be combined with a continuous support in regular classes. The Swedish example, although not perfect, shows that support has to be given throughout the school career – the clearest example being second language instruction and multilingual classroom assistance. Sweden has formulated ambitions for second language learning in the standard curriculum starting at pre-school and continuing all the way up to the end of upper-secondary school and even into adult education. In Germany and Greece, the ambitions are much more limited, with only a little amount of additional training in elementary school and during the immersion or introduction year in secondary school. However, to learn a language to an academic level, one or two years of additional instruction are usually not enough. Adult education could play a much more prominent role in preparing talented students for high school exams in all countries. In Germany a lot of efforts are made to provide vocational education through adult education. These could again be a model for the other countries. But maybe the most important lesson we can learn from the comparison is that what many countries consider to be a “refugee problem” is really a problem of institutional arrangements ill prepared for immigrant children. Many countries still seem to handle the issue ad hoc, a problem which needs to be addressed by temporary measures for a limited amount of time. Migration, be it forced or chosen, is and will be a structural phenomenon which needs to be addressed by policy makers and institutions in a long term and structural matter. Countries who fail to do so pay a high prize in terms of school drop-out, unemployment and raise people without perspectives - costs that are far higher than the necessary investments in education. An international longitudinal survey is in preparation for Arab speaking refugee children in Turkey, Lebanon, Germany and Australia. This will be coordinated by the Lebanese author of this article. In Sweden, six-year olds are enrolled in a non-compulsory preschool class (not the same as preschool or early childhood education, age one to five), physically placed in elementary school. Around 95% of all children in that age cohort attend preschool class. Compulsory education, however, officially starts at age seven. Turkey is party to the United Nations Convention on the Rights of the Child, where article 22 obliges the signatory countries to provide protection and schooling to all asylum seeking and refugee children. In addition, Turkish law (5395) obliges the Turkish state to provide education and protection to minors, irrespective of their nationality. Local authorities are held responsible for monitoring the registration of Syrian refugees in public schools to ensure their access to education (ÇOÇA, 2015). In order to enrol, the children have to be registered with the local police office or the Disaster and Emergency Management Presidency, the state institution running the majority of the refugee camps for Syrians. The wording ‘Refugees and migrants’ is used here to indicate the mixed flows arriving to Greece by the sea via Turkey. The Ministry disposes also of supplementary teachers, who are called in service according to the needs (and the budget) of the Ministry of Education. Due to the crisis, Greece has not appointed staff in a permanent basis since 2008. The number of teachers has decreased seriously, and the eventual supplementary needs of the Ministry of Education are covered through an annual call for supplementary teachers. Contrary to the RECs that belong to the permanent staff, the teachers employed in the Reception Facilities for Refugee Education are supplementary teachers, and thus not very experienced professionals (and in some cases not at all experienced). It is the need to work and to acquire some teaching experience rather than their free will to teach the refugee children in the evening shift that mostly drove the decision of these teachers to seek for employment in the RFREs. However, it should also be noted that there are no formal requirements as regards school diploma for entering an apprenticeship position. It is entirely up to the employer, if s/he accepts an apprentice even with no formal school qualification – which can be quite relevant when refugees cannot prove their level of schooling or maybe factually had hardly any schooling. Obviously, writing and calculation skills are as important as a basic level of German to have a realistic chance of finding an apprenticeship position even in the least attractive positions. See https://www.jobstarter.de/de/fluechtlinge-und-ausbildung-ein-leitfaden-2698.php for a general overview and introduction-website about refugees in vocational training. ÖB and EK performed the literature review and information gathering for Turkey. NB performed the literature review and information gathering for Sweden. JS performed the literature review and information gathering for Germany. MS performed the literature review and information gathering for Lebanon. IK performed the literature review and information gathering for Greece. MC and FL made the comparisons and drafted the manuscript. All authors read and approved the final manuscript. Amos, D. (2015 August, 5). “A Syrian Refugee School: Nearly 2,000 Students, 5 Shifts, 3 Languages”. NPR. Retrieved from http://www.npr.org/sections/parallels/2015/08/05/429340817/a-syrian-refugee-school-nearly-2-000-students-5-shifts-3-languages. ÇOÇA. (2015). Suriyeli Mülteci Çocukların Türkiye Devlet Okullarındaki Durumu Politika ve Uygulama Önerileri [The conditions of Syrian Refugee Children in Turkish public schools and policy advice for implementation]. Retrieved from http://cocuk.bilgi.edu.tr/wp-content/uploads/2015/09/Suriyeli-Cocuklar-Egitim-Sistemi-Politika-Notu.pdf. Crul, M., Schnell, P., Herzog-Punzenberger, B., Wilmes, M., Slootman, M., & Aparicio-Gomez, R. (2012). School careers of second-generation youth in Europe: Which education systems provide the best chances for success? In M. Crul, J. Schneider, & F. Lelie (Eds. ), The European second generation compared. Does the integration context matter? (pp. 101-164). Amsterdam: Amsterdam University Press. Retrieved from https://www.imiscoe.org/publications/library/2-imiscoe-research-series/11-the-european-second-generation-compared. Human Rights Watch. (2017). EU/Greece: Asylum Seekers’ Silent Mental Health Crisis. Identify Those Most at Risk; Ensure Fair Hearings. Retrieved from https://www.hrw.org/news/2017/07/12/eu/greece-asylum-seekers-silent-mental-health-crisis. Keskiner, E. (2013). Generation in transition: Youth transitions among native-born descendants of immigrants from Turkey (Doctoral dissertation). Amsterdam: University of Amsterdam. Retrieved from http://hdl.handle.net/11245/1.394931. Lebanon Crisis Response Plan. (2018). LEBANON CRISIS 2017- 2020 (2018 update). Produced by the Government of Lebanon and the United Nations Retrieved from https://reliefweb.int/sites/reliefweb.int/files/resources/LCRP2018_EN_Full_180122.pdf. Mercator-Institut zur Sprachförderung und Deutsch als Zweitsprache and Sachverständigenrat deutscher Stiftungen für Integration und Migration (SVR). (2016). Lehrerbildung in der Einwanderungsgesellschaft: Qualifizierung für den Normalfall Vielfalt [ Teacher Education in the Immigration Society: Qualification for Normal Diversity] (Policy Brief des SVR Forschungsbereichs 2016–4). Retrieved from http://www.mercator-institut-sprachfoerderung.de/fileadmin/Redaktion/PDF/Publikationen/Policy_Brief_Lehrerfortbildung_2016.pdf. Mutlu, Y., Kirimsoy, E., & Antakyalıoğlu, S. (2016). Bulanık Mekanlarda Gölgede Kalanlar Suriyeli Mülteci Çocuklar ve Vatansızlık Riski Araştırma (Raporu) [Shadowed in misty waters; Syrian Refugee Children and their risk of statelessness (Research report)]. Retrieved from http://www.madde14.org/images/f/f0/GundemCocukBulanikMekanlarda2016tur.pdf. 9.588 Schutz suchende Menschen aufgenommen (2015, December 7). Retrieved from https://www.hamburg.de/pressearchiv-fhh/4650920/2015-12-07-zkf-bis-basfi-pm-november-bilanz-fluechtlinge/. UNITED NATIONS. (2012). Syria Regional Response Plan (Second Revision). Retrieved from http://www.unhcr.org/5062c7429.pdf. Shuayb, M, Al Maghlouth, N, Held, K., Ahmad, N, Badran, T., & Al Qantar, S. (2016). An education for the future: The schooling experience of Syrian refugee children in Lebanon and Germany. the Education Commission. Retrieved from https://www.lebanesestudies.com/wp-content/uploads/2017/01/An-Education-for-the-Future.pdf. Shuayb, M., Makkouk, N., & Tuttunji, S. (2014). “Widening Access to Quality Education for Syrian Refugees: The role of private and NGO Sectors in Lebanon”. Beirut: Centre for Lebanese Studies. Retrieved from http://lebanesestudies.com/wp-content/uploads/2014/09/Widening-Access-to-Quality-Education-for-Syrian-Refugees-the-role-private-and-NGO-sectors-in-Lebanon-.pdf. Skolverket (2017). Uppföljning av språkintroduktion [Follow-up of language introduction] (Rapport 454). Retrieved from https://www.skolverket.se/sitevision/proxy/publikationer/svid12_5dfee44715d35a5cdfa2899/55935574/wtpub/ws/skolbok/wpubext/trycksak/Blob/pdf3770.pdf?k=3770. The Lebanese Ministry of Education and Higher Education (MEHE). (2016). Reaching All Children with Education. RACE II (2017-2021). Retrieved from http://racepmulebanon.com/images/RACE-II_FINAL-Narrative_29AUG2016.pdf. UNHCR. (2017). Turkey (Fact sheet May, 2017). Retrieved from https://data2.unhcr.org/en/documents/download/57333. UNICEF. (2017). EU and UNICEF to reach thousands of refugee children in Turkey with Conditional Cash Transfer for Education. Retrieved from https://www.unicef.org/media/media_95183.html.